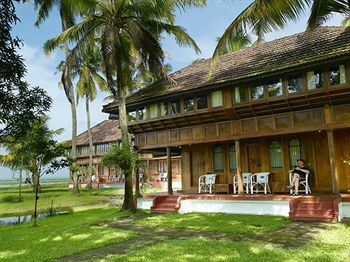 Hotel Coconut Lagoon is the heritage lakeside resort located in Kumarakom. This resort is reachable only by the water. 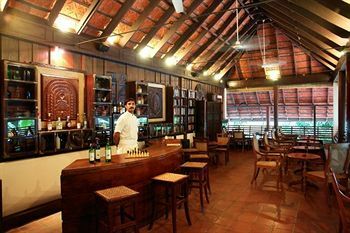 It nestles along one shore of the Vembanad lake, covering an area of 175 square km and nicely set on an abandoned coconut plantation in the very heart of these fascinating backwaters. 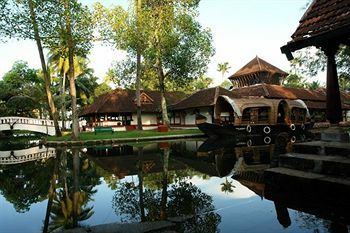 This hotel provided visitors an authentic experience of Kerala and its backwaters. Condé Nast Traveller has rated the Hotel Coconut Lagoon among the 25 best getaways in the world. 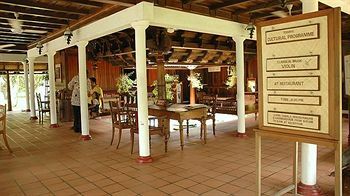 The reception area in the hotel is a living piece of Kerala history. It belongs to the year 1860 and the four-cornered open courtyard design reminds one of the past times. 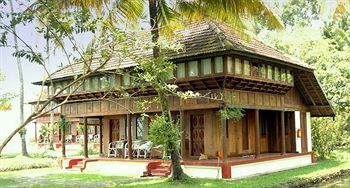 The entire mansion was painstakingly transplanted from the nearby village of Vaikom in 1993. 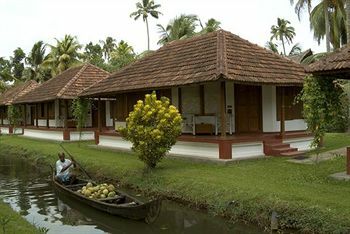 There are three kinds of accommodation at the Hotel Coconut lagoon. 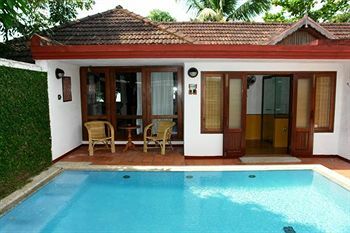 The Heritage Bungalows are the compact independent cottages, set in lush lawns along the canals. 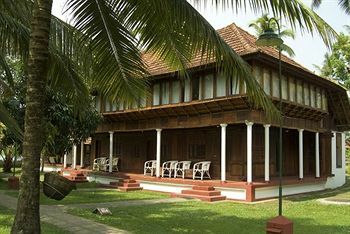 The Heritage Mansions are large, with an upper storey defined by distinctive wooden ribs that resemble the sides of a boat. Most of these afford fine views of the lake. Beyond these mansions are the Pool Villas located on the front of the lake. These villas have a private pool with the distinctive interiors. 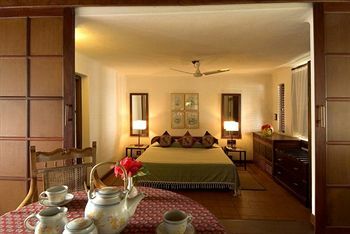 All accommodations are well furnished in wood with attached open roof bathrooms. 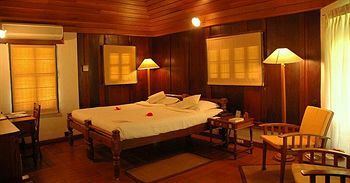 Air-conditioning, telephone, hot and cold running water supply are some of the comforts which are also available in all the rooms. 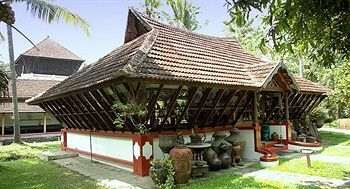 The restaurant building is built in the old 'ettukettu' style, two roomy courtyards with dozens of slender supporting pillars. The space has been designed such that a constant, playful breeze dances attendance on diners. 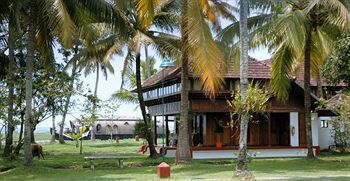 This is one of the oldest structure at Coconut lagoon. 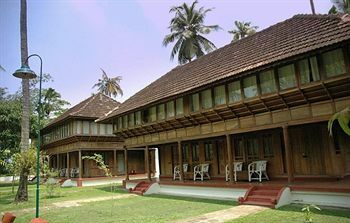 'Fort Cochin' is the speciality seafood restaurant and the famous delights are the 'karimeen', or pearl spot fish. Besides this, a variety of shellfish, sea and river fish are served in local and international styles. The paddy and the poultry are raised in neighboring farms. 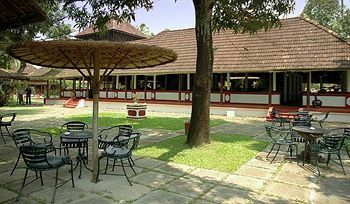 The extensive buffet includes delicious vegetarian spreads, ranging from local classics (avial and kottu) to the exotic (drumstick and basil soup). These dishes combine splendidly with the red rice, organically grown in the paddy fields. The menu also features Ayurvedic drinks and foods that have specific restorative, digestive or cooling effects. 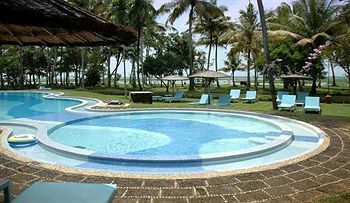 Bar, Car Rental, Currency Exchange, Doctor on Call, Steam Therapy, Yoga, Meditation, Room Service, Credit Cards Accepted, Swimming Pool are some of the facilities which are available to the tourists in the hotel. Besides this, the tourists can also enjoy the Sunset Cruise, Health Spa, Expeditions, Country Boat and Fishing, available on special request. 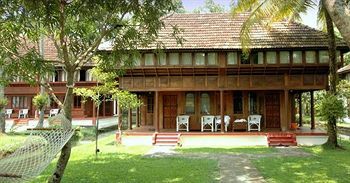 The Hotel Coconut Lagoon has the finest Ayurveda Center with a team of dedicated doctors and experienced men and women therapists to help and guide in this wellness programme. The programme not only includes Ayurveda, Accommodation and all meals, but also includes consultation, special diets, yoga, meditation and counselling. Hotel Coconut lagoon is not accessible by road. It is located about 10 kms. 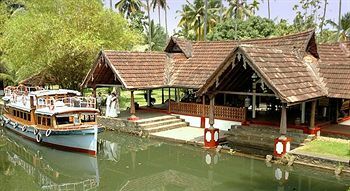 from Kottayam to Kavaratikara boat landing by road, 10 minute boat ride to Coconut Lagoon. 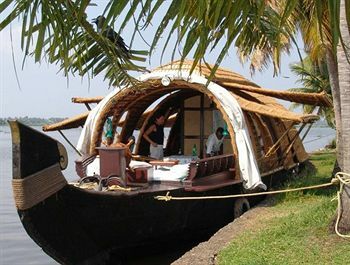 It is located about 45 kms from Cochin to Puthenangadi boat landing, about 25 minutes of boat ride to Coconut Lagoon. The nearest airport is located at Cochin which is about 95 kms. The railway station and bus stand are located about 15 kms. from the hotel.